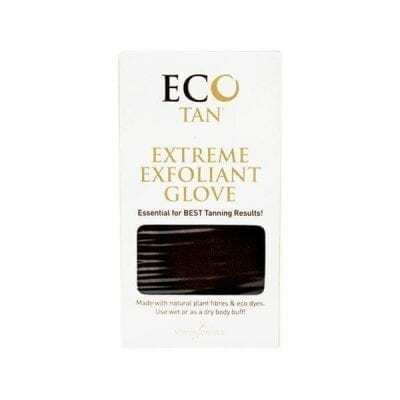 Eco Tan’s Cacao Firming Mousse is a self tanning mousse for all skin tones. Customise the shade of your tan! Leave on for 1-4 hours before washing off. You can easily achieve your desired intensity of color depending on how long you leave it on. Made with certified organic and natural ingredients. Eco Tan products are both are cruelty free and vegan! This mousse is made with cacao, coffee, aloe vera, ginger, mandarin and blood orange. A streak free, natural looking application is what you’ll get! Cacao firming mousse also helps reduce the appearance of cellulite and promote smooth skin. Made with only organic and natural ingredients, Cacao Tanning Mousse has a delicious, yet subtle chocolate scent. So you won’t have that nasty chemical fake tan smell! Also, you won’t turn a fake looking orange colour, as our self tanning mousse is free from artificial orange dyes. Awarded the WINNER of the Natural Tanning Category in the Nature + Health Natural Beauty Awards 2017, Janey Loves PLATINUM AWARDS 2016 and The Healing Lifestyle Awards Annual Earth Day Beauty Awards 2017! Also, awarded HIGHLY COMMENDED in the International Health Natural Beauty Awards 2017!